HENLEY-ON-THAMES TOWN COUNCIL WELCOMES ALL VISITORS TO ENJOY OUR BEAUTIFUL RIVERSIDE TOWN BUT PLEASE BE AWARE THAT FROM 2019 BBQS ARE NOT PERMITTED ON EITHER MILL OR MARSH MEADOWS. Benefits include a contributory pension and generous holidays. 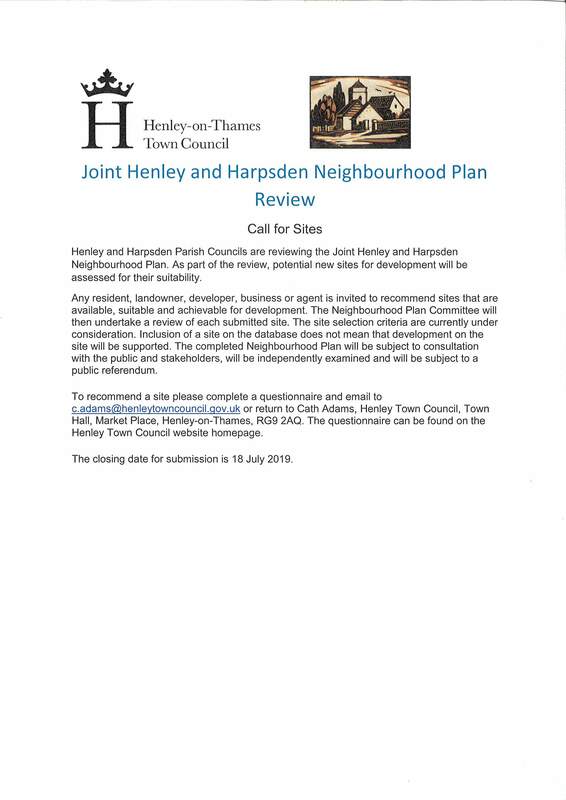 Please complete the application form on the Henley Town Council website or call us on 01491 576982 for a hard copy. CVs will not be considered without an application form. Today there is a comfortable mix of architectural styles spanning the centuries with many interesting features for the historian, some of which are conveniently hidden in the churches and local pubs.With a population of some 10,000 Henley on Thames supports the many small, attractive villages in the countryside around. Against the the backdrop of history and natural tranquility lies an outstanding variety of specialist shops for the serious browser. Residents and visitors alike can enjoy our many parks and open spaces, wander by the river, charter boats along the river and whet their appetites at the many and varied restaurants, cafes and pubs to which the town plays host. If you live or work in Henley there are all kinds of ways you can get involved in the life of our thriving community, from sports and the arts to growing vegetables in our allotments or becoming a 'gardening buddy'. Henley has something for everyone as we hope you will discover when you browse this website. Check out our 'What's On' page for events in and around Henley coming up soon. For pictures and information about Britain in Bloom click here.